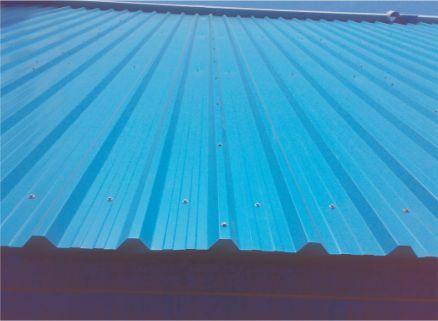 Cold Steel Corporation’s state of the art, C.N.C roof/side cladding profiling lines offer a scratch free range of cladding sheets. Galvalume/Zincalume and CC GI available in a variety of shades and combinations, along with Polycarbonate and F.R.P. sheets. Crimped aprons, flashings and other sheeting accessories also available.